In honor of July 4th we are presenting a special SATURDAY SIX with a Salute to All Nations (But Mostly America). 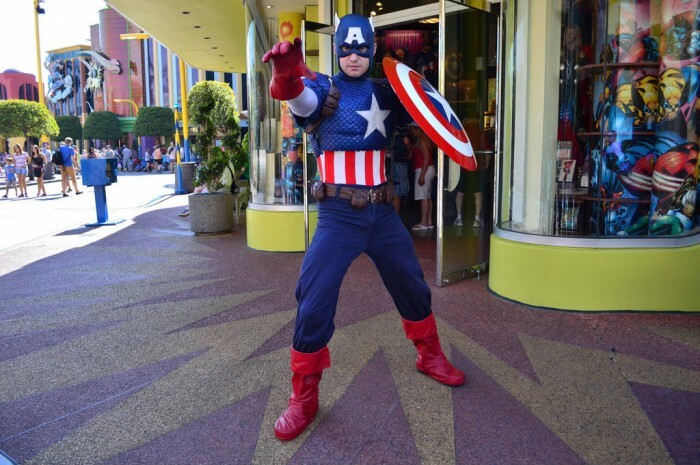 July 4th brings out the patriotism in all of us, and nothing is more American than our favorite theme parks. Created with the opening of Disneyland in 1955, theme parks — along with comic books, pro wrestling, and jazz music — are one of the rare forms of art that we in the USA have given to the citizens of Earth. Thankfully, they are all so good that the world forgives us for everything else we’ve given them such as Zima, reality television, and the KFC Double Down. So raise Old Glory up to full staff, put Real American on the CD player, and let’s dive into some theme park American goodness! America’s super soldier, Captain America meets guests daily at Marvel Superhero Island. The origin of Captain America himself is tied to World War II and – in the pages of comic books – was fighting the Nazi army in Europe months before America itself officially entered the war in December of 1941. Draped in red, white, and blue, Cap is the living embodiment of everything many of us strive to be: courageous, loyal, selfless, and unshakably honest. 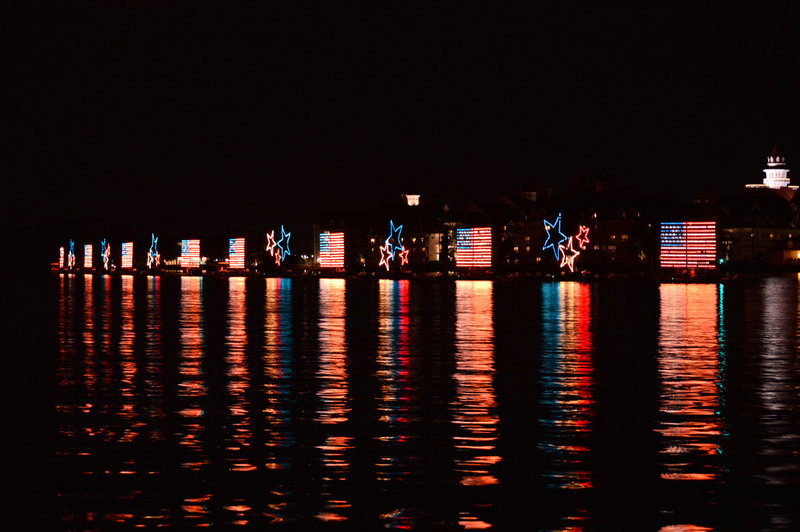 One of our favorite parades is the incredible Electrical Water Pageant that takes place along Bay Lake and the Seven Seas Lagoon. We’re not sure what is more amazing: a parade taking place in a lagoon or the fact that it has been doing so in various incarnations for over 40 years! We all have our favorite floats (our personal favorite is King Neptune and the four seahorses), but the parade ends with the floats turning into American flags along with red, white, and blue stars while patriotic music plays. Now that’s how you end a show! The American Adventure is a journey through American history narrated by audio-animatronic versions of Benjamin Franklin and Mark Twain, two of our country’s most iconic figures. The Revolutionary War, the Civil War, and World War II are briefly touched on as over 200 years of America are condensed into about 20 minutes. Using a combination of animatronic scenes and video, the American Adventure is amazing to watch just from a technical perspective. This is Imagineering bringing its A-game, brilliantly taking advantage of limited space and challenging subject matter and presenting it in a uniquely interesting way. 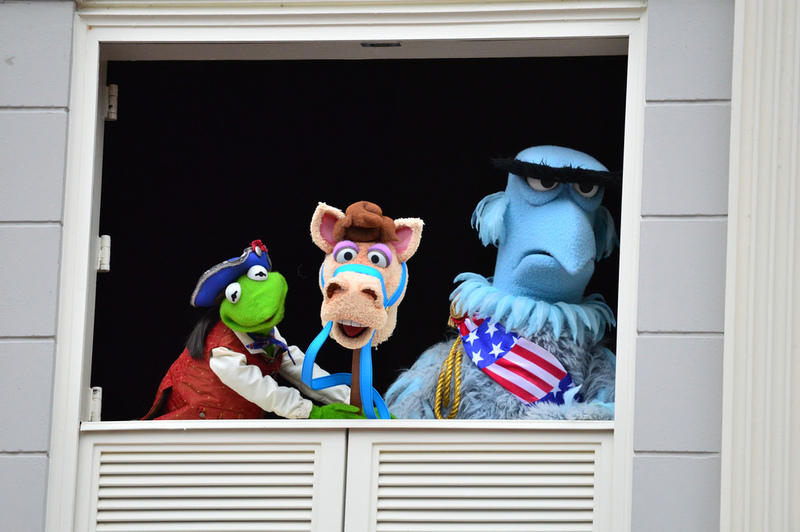 This oddball take on American History is hosted by James “J.J.” Jefferson–the town crier of Liberty Square–and Sam the Eagle, the most patriotic of Muppets. 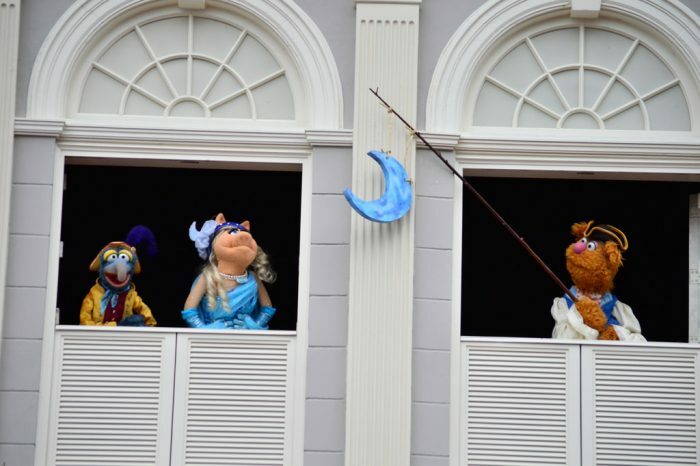 Joined by Kermit the Frog, Miss Piggy, Fozzie Bear, and Gonzo, the show is performed several times daily. 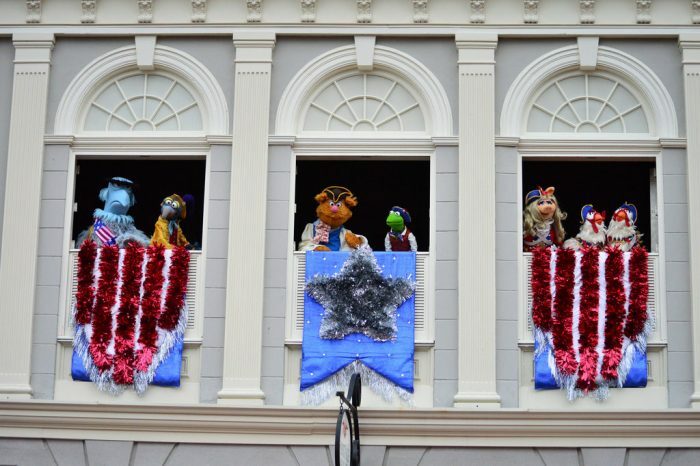 There are multiple versions of the show, some include singing, some storytelling, but all contain the Muppets’ famous humor. 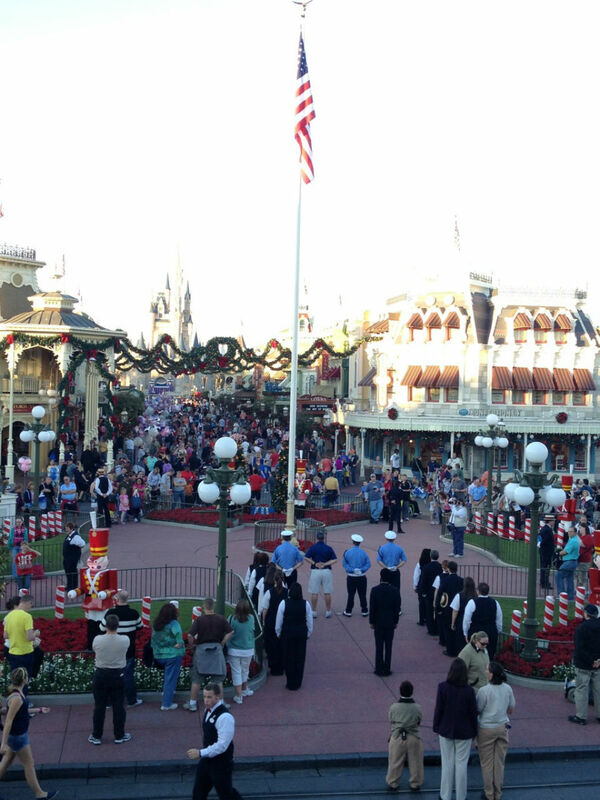 Nothing is more American than Main Street, U.S.A., in the Magic Kingdom. Nothing. You could take a picture of a bald eagle eating an apple pie on the top of Mt. Rushmore, and it still wouldn’t evoke the Americana feelings that come when Main Street, U.S.A., reveals itself as you walk under the Walt Disney World Railroad and into the Magic Kingdom. 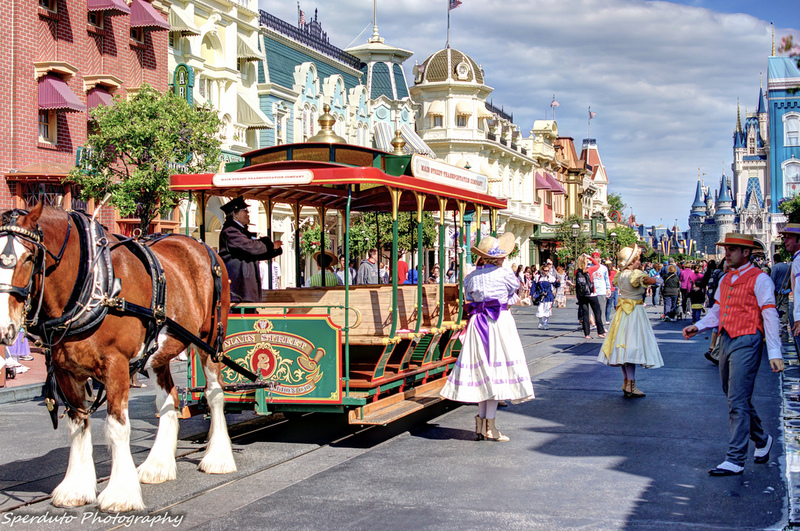 Main Street, U.S.A., sets the tone of your park day, as guests are transported to a different time and place, one in which you can leave your real world worries at the front gates. A turn of the century small town American street should feel antiquated, but, all things considered, when you take the buildings (both inside and out), the period-authentic vehicles, the streetmosphere, the background music, the parades, and all the “little things” (such as the iconic Mickey balloons), Main Street, U.S.A., is a wonderfully immersive experience that all the theme park lands built afterwards have a hard time competing with. It draws us in without the lure of an E-Ticket attraction or a big movie tie-in and is a reminder of the visionary that Walt Disney was. Main Street, U.S.A., is a slice of America history that most of us today never experienced, but it feels as real as the streets we return to when we come home from vacation. 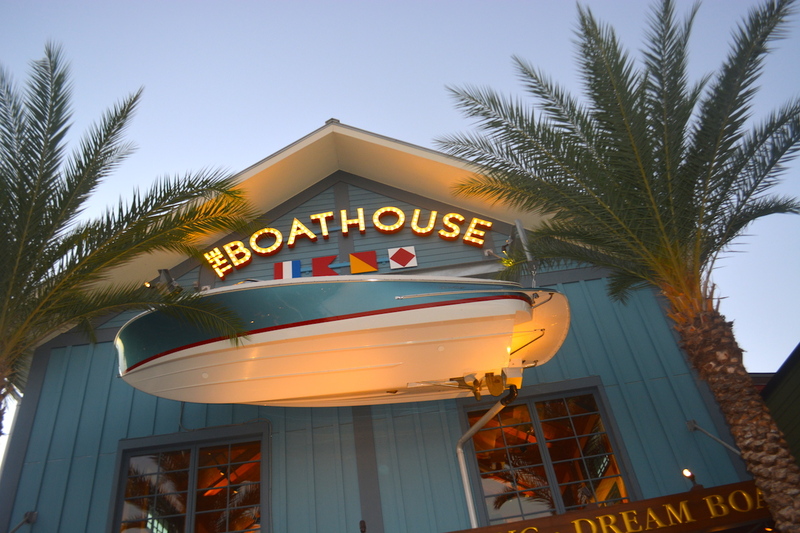 Special Thanks to crack staff photographer Brandon Glover, the sommelier of Tony’s Town Square Brian Carey, photo wunderkind Mike Sperduto, and blogger to the stars Megan Stump for their invaluable assistance with this article. Be sure to also check out Brandon on The Park Blogger podcast with co-hosts Aengus Mackenzie and LitemAndHyde, while fellow Potterheads may enjoy Meg’s work on the Central Florida Slug Club. No Hall of Presidents? I’m guessing it may not inspire such patriotism when it returns, but I digress. The new Muppets show is so good! We stumbled upon both versions during our last trip, and it was one of the highlights of the entire vacation. 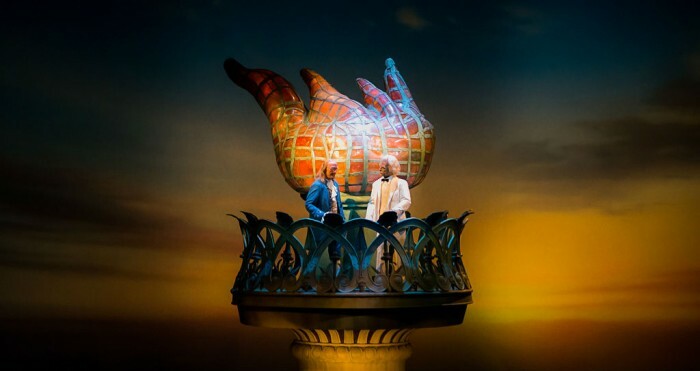 The Hall of Presidents was a last minute cut and while it has always been one of the most patriotic things in all of theme parks, I’m afraid those days might be over. No matter what happens with the current situation, I think the HOP will now just be used a chess piece for those trying to get their particular viewpoint over. 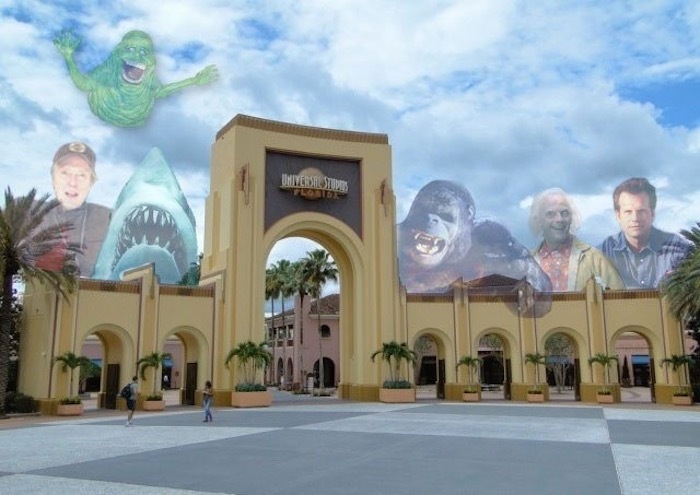 This is strictly from a guest perspective, nothing that Disney would be doing whatsoever. I hope I’m wrong on that though. 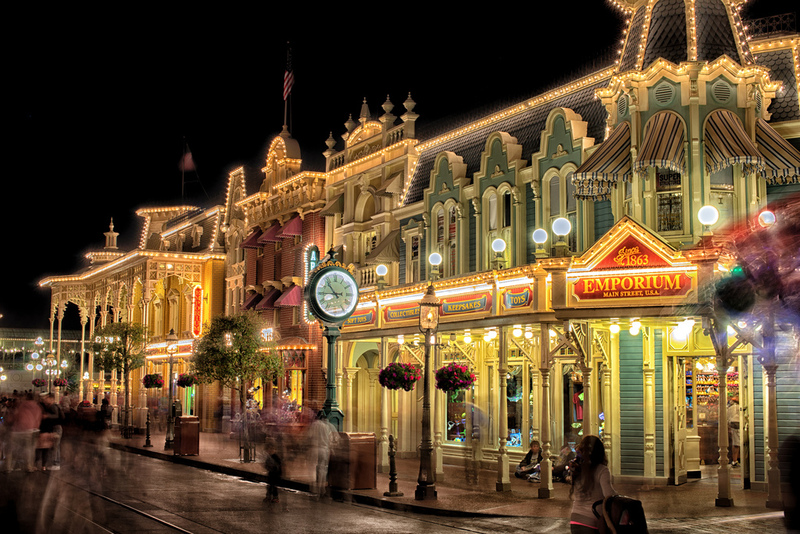 I’m curious as to why you singled out the Magic Kingdom’s version of Main Street, U.S.A. Why not its older sibling on the west coast? Is that just the bias of geography or previous personal experience? I feel like the Disneyland version has everything you mentioned, plus the added perks of actually being older and the knowledge that Walt himself actually walked down those streets. To me, it has such palpable character, more than at the Magic Kingdom. It’s almost like the Florida version evokes Americana whereas the California version actually IS that classic America that never was but always will be. I had the same question when reading #1. 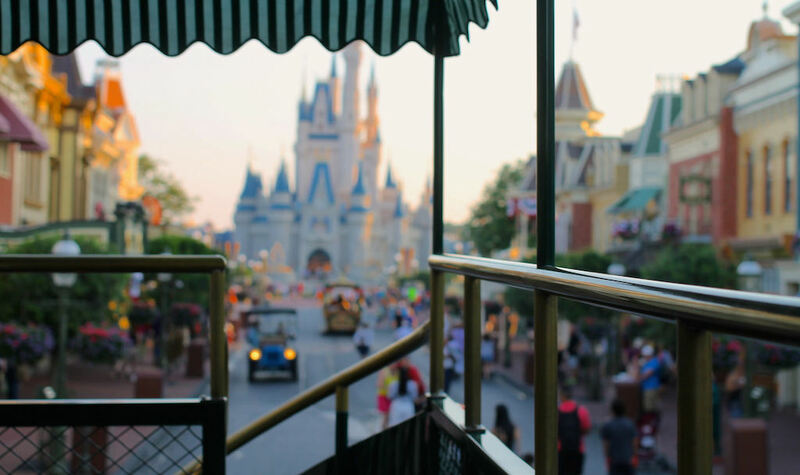 Additionally, there is the argument that the smaller castle at the end of Main Street USA in Disneyland does more to avoid that sense of some kind of feudal lord looking over the common folk. 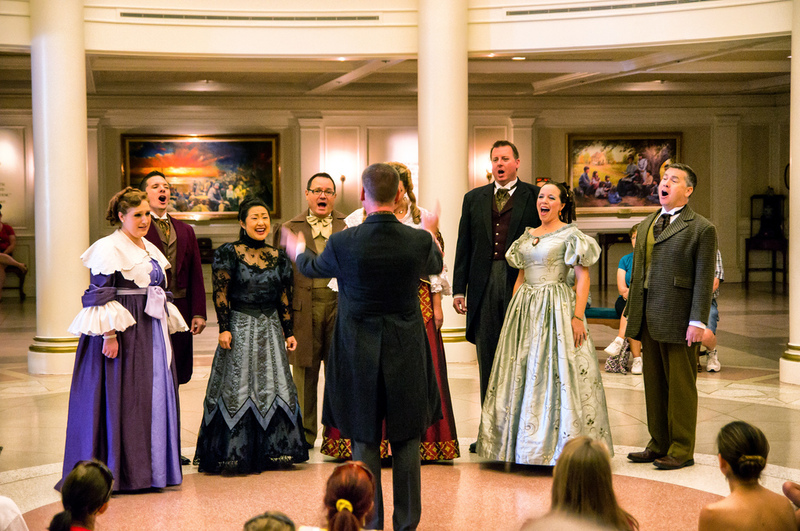 And… Great Moments with Mr. Lincoln! But, I guess each of the other 5 are also in Florida. 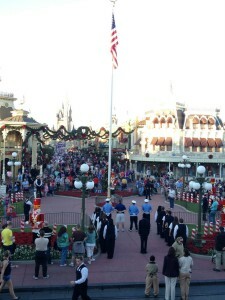 I do appreciate seeing Main Street USA as #1. I think it may actually be my favorite land. The comics version certainly seems so, but the MCU version is still a good guy. maybe Touring Plans needs to change out the picture to the West Park version of Cap’ before rewriting the whole article. As a lifelong Cap fan, I remember the week the first issue of the Steve Rogers series came out and the world losing its mind (which I’ve seen before many, many times over the years (probably starting with The Death of Superman and more recently with things like Peter Parker’s secret identity being known, a female Iron Man etc) and if there is one thing you can almost count assuredly with the Big Two (Marvel and DC) its that eventually we’ll be back to Status Quo sooner or later. 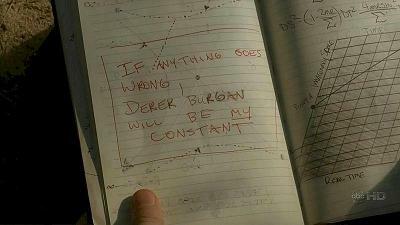 For Cap it seems like this Fall’s “Legacy” event will bring back the guy we know and love. I’m not a huge fan of the whitewashed version of US history in The American Adventure, but that figure of Will Rogers starting and stopping his lariat is always incredible. The movement is so natural that you miss that it’s a robot.